We are helping you comply with the above Commandments! 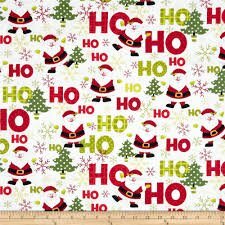 All of our Christmas Flannel is on sale while supplies last for 25% off! 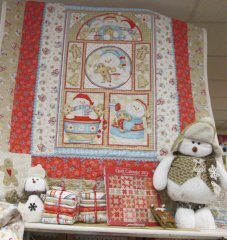 The kit for this quilt, "Cookies and Cocoa", is now $39.99, while supplies last. MINKEE MADNESS...... Details are coming soon! We can't wait to have our floors full of minkee! We want to wish all of you a Happy Thanksgiving and safe travels! We will be closed on Thanksgiving but we will be open on Friday at regular hours. 10 am - 6 pm. Here are our classes for this week. You can either call and reserve your spot or go to our website and pay with your credit card. PLEASE CALL AND RESERVE YOUR SPOT PRIOR TO CLASS. 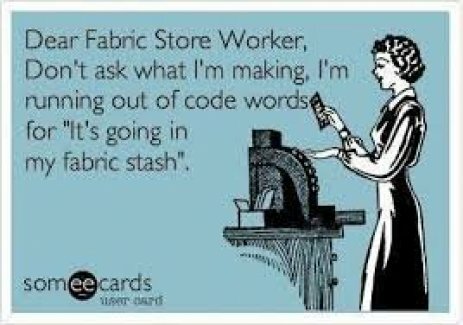 ALSO, YOU MUST BRING YOUR SEWING MACHINE AND SUPPLIES. 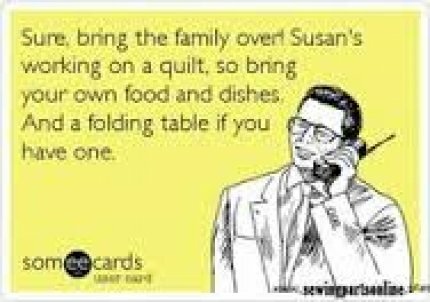 All Night Sew- Friday November 21 @ 6:00 pm- Bring your unfinished projects or start a new one while enjoying laughter and friendship. Stay as long as you want and bring a snack to share. 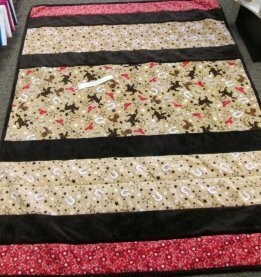 Minkee Row x Row- Saturday November 22 @ 9:00 am- Learn to make these gorgeous and comfy quilts without having to send it to the quilter. They are quilted as you go. It is that time of year that you just can't pass up a good joke or 2! 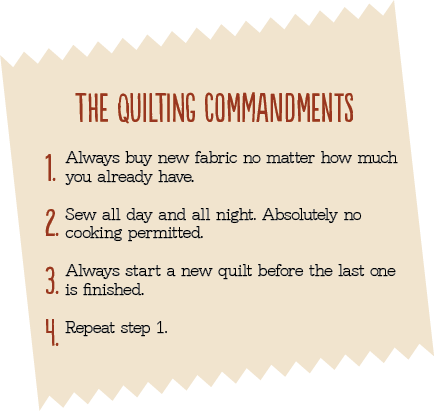 We will try to remember this when are buying all your fabric for your next quilt.